Come and see us at the NEC! The Dolphin team will be at the UK's biggest motorhome show featuring all the major UK and European manufacturers under one roof. Come and see us to see what great deals we can offer. Come and view the new and exclusive Swift Spirit range at the NEC this week! We will have two different models on display for you to peruse at your leisure. The brand new Spirit range has been launched for the 2018 season and has already made a huge impression. With its streamlined low profile exterior, stylish interior and great value specification it will set the benchmark in its sector. With class leading SMART construction, expanded choice of nine layouts and attractive pricing, it is easy to see why this desirable motorhome range has proved such an instant success. Our unique inclusion is the Tech Flat Grey external colour which is exclusive to the Spirit range and cannot be purchased on any other vehicle. Andy is celebrating 20 years of the NEC!! To arrange to view one of the Swift Spirits, just call us on 02380 406777 and we can make the arrangements. Visit Andy and Ryan on the stand for a full overview of the Swift Spirit range. This season Auto-Trail have introduced some new and exciting models into their collection, including the luxurious lightweight Imala 732, the sociable Tracker LB and the adventurous V-Line 'Sports' Pack. Visit Steve and he will show you around the full line up of 2018 vehicles. 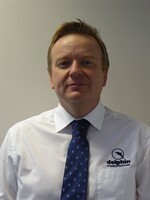 Graham will be on the Elddis stand from Friday 23rd - Sunday 25th. 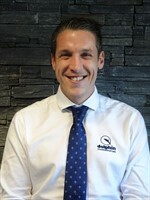 He will be there to talk you through the Elddis Envy range which is bespoke to Dolphin Motorhomes and comes with a whole host of extras as standard. This stylish and eye catching range has bespoke features including metallic graphite grey or white cab & bumper, silver dashboard kit, silver front bumper grill and much more. If you would like to speak to any of our sales team during the show; please contact us on 02380 406777 and we can make all the arrangements! !